Choose from 35 hotels and guest houses in Isle of Wight. Shown below a just a selection of the hotels available. To search within an area please use the menu on the right. With an excellent seafront location, looking out across the golden sands of Sandown Bay to the horizon, this family-run hotel offers well-appointed en suite rooms, some with magnificent sea views. The Carlton Hotel is just metres from the beach and the sea, and close to all that this well-loved seaside resort has to offer. This delightful town offers safe bathing, a traditional Victorian pier, coastal walks and one of the best sunshine records in England. A traditional little road train will take you all along the seafront and into the town centre, which is lively and fun, with shops, cafes, bars and restaurants. The hotel has lifts to all floors and full central heating throughout. There is live entertainment, 7 nights a week. A full English breakfast is included in the price. The hotel's attractive restaurant serves tasty food and the bar offers a range of alcoholic and non-alcoholic drinks. The hotel has 119 en suite rooms, all of which have TVs, radios, tea/coffee making facilities and telephones. Many rooms have private balconies with superb sea views. On the edge of Sandown, the refurbished Melville Hall Hotel offer great leisure facilities and fine dining just a few minutes stroll from the seafront, shops and cliff walk. 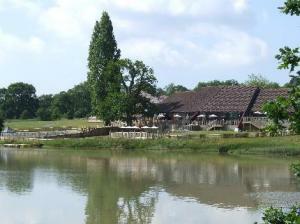 The hotel has a quiet semi-rural setting and places an emphasis on comfort and fabulous facilities. Utopia Spa features indoor and outdoor leisure facilities and a full range of holistic and beauty treatments and therapies. One of the island's premier hotels, Melville Hall has an ETC Silver Award and a 77% AA rating. Perfectly located, Burlington offers comfortable accommodation, with panoramic sea views. 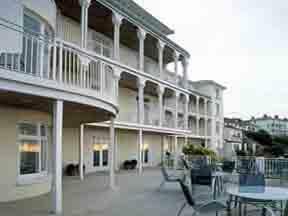 Overlooking the beautiful Ventnor coastline, the hotel is close to the town centre and beach. Burlington has an outdoor heated pool and a garden, where guests may relax. The hotel enjoys striking views across the English Channel. Burlington offers comfortably furnished rooms, with en suite facilities and a TV. Guests may relax in the comfortable lounge or bar, with satellite TV, before enjoying a meal in the elegant hotel restaurant. Poolside snacks are also available and an inclusive full English breakfast is offered. 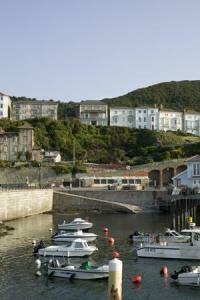 Local leisure activities include water sports, golf, fishing and horse riding. Free parking and free Wi-Fi internet access are available to guests. The Grange is the perfect retreat from the hectic pace of modern life. Set within natures' beauty. 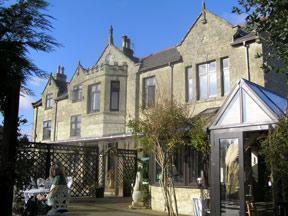 Nestled in the heart of Shanklin's Old Village & moments from the long sandy beach. Friendly and informal, our team aim to make your stay at The Grange Hotel stand out as the ideal short break. You will be accommodated in one of our 17 newly refurbished en-suite bedrooms. You may wish to enjoy one of our double or twin-bedded rooms or perhaps you would like a double room for single occupancy. Soothing and comfortable, each room is elegantly decorated in natural tones mirroring the surrounding environment. Newly fitted power showers and complementary luxury toiletries ensure a good start to each day. The relaxed and friendly Oaklands House has a heated pool, licensed bar, free Wi-Fi, air-conditioned en suite bedrooms and parking. Scenic Brading Downs is a short (uphill) walk away, and fishing on the River Yar is a few metres away. The friendly village pub, The Yarbridge Inn, is just across the road. The heated swimming pool is open most afternoons (June to September) until dusk. A light continental buffet-style breakfast is included in the rate. Minimum booking is for 2 nights. Rare red squirrels come to the garden to feed - so no pets allowed. Please note that Oaklands is adults only (over 18s). Oaklands featured in the 2006 Sunday Mirror article, 'The Best of British at Bargain Prices'. Oaklands has again been awarded 5 stars by IW Council for food hygiene standards and has 'Gold' status from Green Island Tourism. Wayne and Angela Lawrence welcome you to the Roseglen Hotel, where they look forward to ensuring your stay is carefree and enjoyable. The south facing hotel is in a premier position, just a few minutes' walk from the shopping centre, old village, beach and esplanade. The hotel has earned an excellent reputation for good quality home cooking and hearty breakfasts, served in the comfortable dining room with its warm and friendly atmosphere and service. In the heart of lively Yarmouth on the Isle of Wight, the George Hotel is an elegant 17th-century town house, boasting picturesque views overlooking the harbour. All rooms are well furnished and individually decorated, with comfortable beds and a satellite TV. Overlooking the Solent, the hotel brasserie serves excellent seasonal cuisine, with an emphasis on seafood. Guests may also relax by the log fire in the cosy wood-panelled bar and enjoy afternoon tea or cocktails. Local activities in this bustling community include sailing, paragliding and kayaking. There are also a number of English Heritage sites to visit in the surrounding area. For a pleasant break in a clean, convenient and friendly guest house, The Fernside in Sandown offers a good breakfast, free Wi-Fi and en suite rooms with digital Freeview The privately owned guest house is a short walk from the beach, town centre and train station. It has a fully licensed bar that serves a small range of bar snacks. Beautifully set within an Edwardian town house, this welcoming, family-run hotel is situated in the popular seaside resort of Shanklin, on the south coast of the Isle of Wight Within easy reach of all of the town's amenities, including shops, beaches, the train station and buses, the hotel is also ideally positioned for beautiful cliff walks and the clean, sandy beaches. Before heading out to explore the hotel's beautiful surroundings, you can start your day with a complimentary full English breakfast in the spacious dining room. 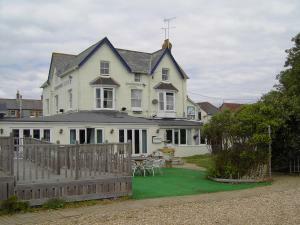 Sandpipers Hotel is situated in Freshwater Bay, just 50 metres from the beach and close to the Tennyson walking trail. The newly refurbished bar areas sell a wide range of Real Ale and traditional ciders that can be enjoyed on the large, outdoor decked area. The Restaurant serves lunch and evening meals with a wide and varied menu to suit all tastes. The hotel's original rooms are situated in the Victorian part of the building, on the first and second floor. The new wing has a further 13 rooms, 10 of which are on the ground floor. Set in a quiet street in the heart of Newport, this Grade II listed, 17th century building is a warm and friendly hotel within walking distance of bars and restaurants. Once the home of Newport's butter market, this historical hotel provides superb central access to the whole of the Isle of Wight, and is within easy reach of the major ferry ports. The Newport Quay has 12 warm and comfortable rooms for you to choose from. Four-poster and family rooms are available as well as singles and doubles. Most town roads and country trails lead from Newport, making the hotel an ideal base for business trips or walking, cycling or driving breaks. In 4 acres of landscaped cliff-top gardens, this striking Victorian residence has one of the Isle of Wight's most stunning locations, with breathtaking panoramic views out over Shanklin Beach. With a beautiful, tranquil setting, on the cliff top overlooking the sea, Luccombe Manor is only 5 minutes' walk from Shanklin High Steet, the old village and Shanklin Chine. The hotel has a range of modern amenities and extensive leisure facilities, including 2 large heated outdoor pools, a gym, a squash court and a mini putting green. The extensive gardens are a great spot in which to relax and enjoy the wonderful views. There is direct access to the beach from the bottom of the extensive gardens. Free Wi-Fi wireless internet access is available in the bar and lounge. The splendid Victorian dining room has French windows looking out over the gardens and offers a superb 4-course dinner each evening. 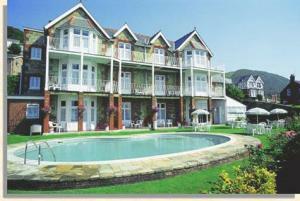 The Snowdon is a family run hotel situated 100 metres away from spectacular cliff walks and lift to the beach. The Snowdon Hotel is 100% non-smoking and was originally built as a Victorian Gentlemans' Residence. We are only a few minutes walk away from Shanklin Old Village, Town Shops and Shanklin Theatre. We have gained an excellent reputation for good quality home cooked food, with hearty breakfasts to set you up for the day. We achieved 4 star with a silver award in the Guest House category Breakfast times are between 8.30am and 9.00am. If an earlier breakfast is required this can be arranged with prior notice or on arrival. Rooms are serviced between 10:00 and 11:30. All bedrooms are en-suite with radio/alarms, remote control TV's, beverage tray and towels. We have a residents' lounge bar. Set in its own attractive grounds, The Kenbury is the ideal choice for those in search of a peaceful break, whilst still having easy access to the beach, town centre and local transport. This is a family-run guest house that aims to provide a friendly high quality service to all of its guests. A minimum stay of 2 nights applies on Friday, Saturday and Sunday nights. The Kenbury is open from April to November. On Ryde seafront, this distinctive and grand Victorian building overlooks Ryde Esplanade and Marina. Enjoy a lavish brasserie and bar, open every evening for dinner. The brasserie at Ryde Castle has a warm atmosphere, with a large ? la carte menu and an extensive wine list. The bar serves tasty bar meals, snacks and real ales. Some of the comfortable en suite rooms have four-poster beds. Many offer sea views. Ryde Castle is only 2 minutes from the hovercraft and catamaran services that link the Isle of Wight to Portsmouth and Southsea (10 minutes away). Newport and Cowes are both a 15-minute drive from Ryde, or can be easily reached by bus. Centrally located in Ryde on the Isle of Wight, the hotel is just 300 yards from the Seafront Esplanade, and 3 minutes' walk from the hovercraft, bus and railway stations. 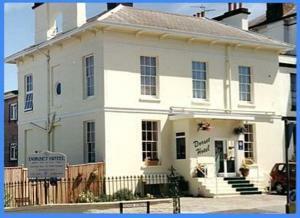 The Dorset Hotel B&B has a number of comfortable bedrooms to offer. For the single traveller to the family on holiday, most rooms are en suite with colour TVs and hospitality trays. Some offer sea views across the Solent. The hotel is licensed to sell alcohol to its residents. This convenient hotel has an outdoor swimming pool in operation from May to September. Ryde offers a range of restaurants, public houses, nightclubs and other entertainment suitable for the young and old. 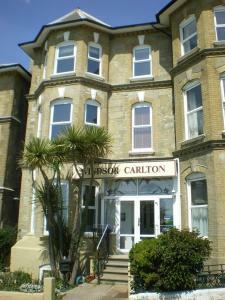 The hotel's ideal location, with excellent transport links nearby, makes it a great choice when visiting Ryde. 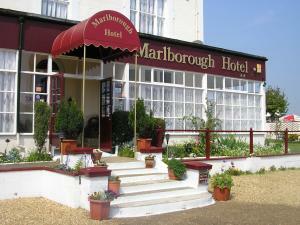 The Marlborough Hotel is located just a few minutes' walk from the beach, Shanklin Old Village and the main shopping area. Bedrooms are stylish decorated, all offering modern amenities and en suite facilities. The hotel offers excellent comfort, friendly service and good value for money. The welcoming bar serves a range of beverages and snacks, with occasional live evening entertainment, including bingo and karaoke. In the cosy hotel lounge you will find a pool table, various table games, darts and Sky TV. If you prefer the outdoors, then there is a pleasant garden where you can relax and soak up the sun. With a large car and coach park on-site, finding a parking space is not a problem. The friendly staff are fluent in French, Spanish, Portuguese, Polish and Russian. Group and coach bookings are welcome. The hotel can also offer an all inclusive ferry crossing break. Please contact the travel booking desk. The hotel is non-smoking. Awaiting you is a warm welcome from Richard and Tessa. We endeavour to provide all you need for a carefree holiday. There is full central heating in all rooms. A pay phone is available, and the premises are covered by a full fire certificate. We have no petty restrictions; you are free to come and go as you wish. The enjoyment of good food is an important part of any holiday, and Ashleigh House Hotel is noted for giving you separate tables. We offer good home cooking with a varied choice of menu. Our meal times are planned to allow you to make the most of your free time. Breakfast is served between 8.30 and 9.00 am, and evening meal is served at 6.00 pm. You may enjoy a drink in the friendly atmosphere of the comfortable bar lounge where coffee is always available for guests not wishing to take advantage of the the well-stocked bar and extensive wine list. With a superb cliff-top location and stunning sea views, this lovely family-run hotel has beautiful, peaceful gardens, free Wi-Fi, an indoor pool and an outdoor heated pool with terrace. Originally built in 1870 as the summer home for the Bishop of Portsmouth, the Luccombe Hall Country House Hotel is great for a relaxing break. The outdoor pool is open from May to September and the large gardens include an outdoor giant chess and draughts set, a mini putting green, and an outdoor children's play area with a trampoline and swings. Inside, the hotel has a jacuzzi, a sauna, a games room, a pool table, table tennis and a squash court. 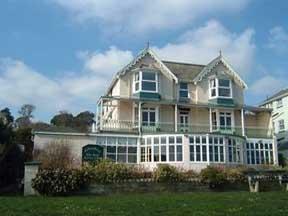 Many of the rooms have glorious sea views, as does the Grand View Restaurant. The Grand View Tea Gardens offer spectacular views across Sandown Bay to the distant West Sussex coast. A set of steps lead directly down to the beach. The Clifton hotel is a family-run hotel standing in its own grounds in a peaceful traffic-free location. Leading out onto Keats's Green, it occupies one of the Island's most beautiful cliff top locations. All public rooms face the sea giving stunning views over Sandown Bay. Our bedrooms are clean and comfortable, many having sea views, some have access to a balcony. In addition to bath/shower en suite, clock radio, tea, coffee and hot chocolate making facilities, and colour television, we also offer 'Premier' rooms that are furnished and decorated to a very high standard, for that special occasion. A small supplement is made for sea view and premier rooms. The dining room provides good home cooking using fresh local ingredients when available. Special dietary requirements can be catered for. Our bar has Island brewed beer, soft drinks and wines from good vineyards. Please see our wine list on the food and wine link above. A cliff walk past Shanklin Chine takes you to the beach (downhill), and there is a cliff lift to bring you to the top. From there it is a short walk back to your hotel. The old village is a five-minute stroll to browse in the 'Olde Worlde' thatched cottage shops for souvenirs and locally made rock. Breathtaking sunrises and spectacular sunsets are available on the Isle of Wight. Seaview rooms provide continuous front row views every morning of the sunrise, weather permitting. The moonrise can also be viewed from the balcony. With clear skies that lack the light pollution of many areas, the night sky is usually stunning. In an unrivalled position, facing due south, this beautiful Victorian hotel has stunning panoramic views over Ventnor Bay and offers direct access to the beach via the terraced gardens. A mixture of fine cuisine, luxurious comfort and breathtaking views of the bay make any stay at the Wellington memorable. This beautiful Victorian building has been carefully renovated and lovingly restored to its former glory. Today, its attractive original features blend harmoniously with stylish modern furnishings to create an idyllic retreat for its guests. All of the rooms have en suite facilities and panoramic views, with all super deluxe rooms possessing their own private balconies. The Wellington Restaurant offers an extensive wine list and a selection of cross-continental dishes, which guests may enjoy either in the dining room or on the decked terraces. The hotel possess a 3-Star Silver Award and is listed in the Good Hotel Guide and Les Routiers. This beautiful Victorian hotel is set amid the idyllic backdrop of a leafy tree-lined avenue, within walking distance of Shanklin Old Village, the Chine and the town centre. Centrally heated en suite accommodation is complemented by tastefully decorated communal rooms, sympathetic to the hotel's Victorian heritage. The spacious non-smoking dining room is ideal for a hearty Somerton Lodge breakfast. Sample a drink from the well-stocked bar, or just enjoy the tranquility of the non-smoking dry lounge. The south facing gardens offer the morning sun over a cup of tea, whilst you can also relax with a newspaper on the sun terrace. For those looking for a more active break, the facilities at the hotel next door are available at special rates and include a swimming pool, sauna, jacuzzi and gym. Sitting high above Ventor Harbour with spectacular views of the bay, this hotel offers the opportunity to unwind in style and dine on exquisite cuisine. At The Hambrough you can escape to a world of luxury. The sound of the ocean, the taste and smell of lovingly-prepared food, the feel of soft towels and the sight from your balcony all combine to create sensually pleasing experience. With just 7 rooms, you will receive attentive and personalised service. The intimate Garden Room is the perfect venue for your exclusive use, whether that be a meeting, lunch or cocktail reception. A stay The Hamburgh is not complete without a visit to Michelin starred, Chef Patron Robert Thompsons' Restaurant. All dishes are prepared using only the freshest and finest ingredients available on the market daily and are served in contemporary surroundings overlooking the ocean. At The Avenue you are assured of friendly, comfortable and quality bed and breakfast accommodation. We are situated close to clean sandy beaches, scenic coastal cliff-top walks and the picturesque Shanklin Old Village. If you are arriving on foot, Shanklin railway station is less than a 5-minute walk away. By a 20-acre lake, this 4-star hotel has an indulgent spa and free Wi-Fi. 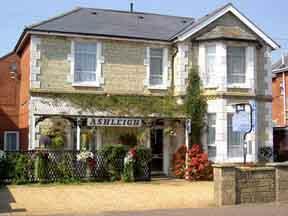 Lakeside Park Hotel is the ideal base from which to explore the Isle of Wight. Enjoy fine dining at the sophisticated Oyster Room or have an informal meal at the Brasserie. Relax in the lounge, bar or terrace, overlooking the lake. Some of the luxurious rooms feature a flat-screen LCD TV and a four-poster bed. Lakeside has extensive leisure facilities including a swimming pool, a fragranced Experience shower, a Jacuzzi, a sauna and a steam room. This small, friendly, family-run guest house is close to the beach and pier, offering a spacious dining room, bar, children's playroom and a lovely sheltered garden with sun deck. Beaufort House serves delicious breakfasts using local produce. Family suites and family rooms are available, with car ferry inclusive deals also on offer. The guest house is situated on a bus route, just 5 minutes from the station. This attractive Victorian hotel overlooks the sea in a quiet hamlet on the edge of a pretty sailing village. 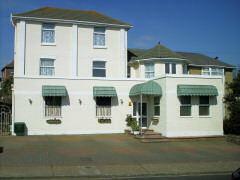 Springvale Hotel is situated on the north-east coast of the island, overlooking the Solent. The picturesque sailing village of Seaview is but a short walk away and there are numerous places of interest within easy reach, including the lovely beach. Whatever the weather there is a place to relax, whether it be our pleasant garden and veranda or the snug bar with log fire. To finish your day, enjoy a delicious meal in our renowned restaurant. The restaurant has 50 seats and is pleased to cater for the needs of organisations, business parties and private groups for dinners or functions. This Premier Inn hotel is 1 mile (1.6 km) from central Newport on the Isle of Wight, with family-friendly en suite rooms and a Table Table restaurant. Some rooms can take 2 adults and up to 2 children (under 16 years). The 2 children also get a free full breakfast when accompanied by an adult eating a full breakfast. The full all-you-can-eat breakfast has the expected cooked items, including vegetarian sausages, as well as a wide continental selection. Set in quiet gardens, 10 minutes' walk from Sandown's seafront and the High Street, this fine Georgian building has a themed interior based on ocean travel and the RMS Aquitania. Throughout Parkbury Hotel there is wood panelling and marquetry from the RMS Aquitania, the last of the 4-funnel ocean liners. Surrounded by its own gardens, The Parkbury is a wonderful, peaceful base from which to explore the Isle of Wight. Sandown's busy centre, the seafront promenade and the leisure centre are just a few minutes' downhill walk away. Free off-street parking is available within the hotel's grounds and the hotel also offers a 25% discount on the cost of your ferry crossing to the Isle of Wight (conditions apply - see below).